The SP-7000 Tow Pro spreader is designed to tow behind tractors and UTVs with a lawn and garden hitch, eliminating the need to mount a large spreader in the bed of a truck. 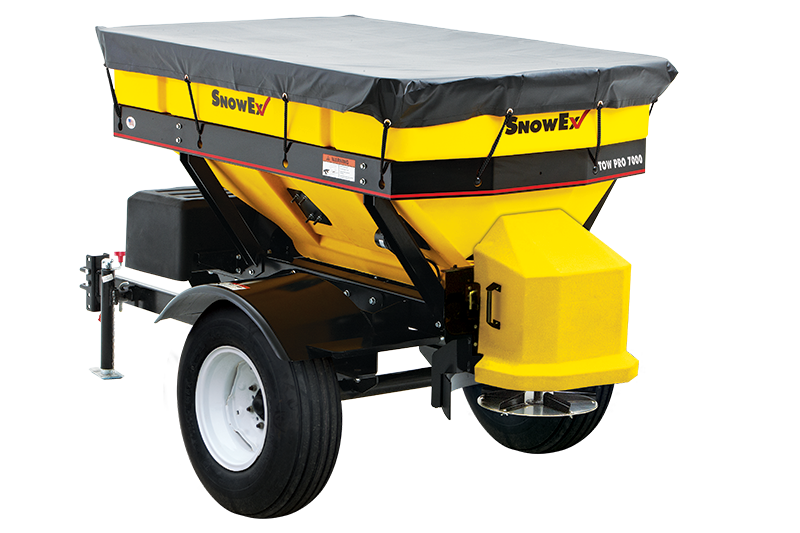 This helps maximize the truck's utility by freeing up the bed to carry additional spreading materials or pieces of equipment, such as walk-behind spreaders and snow blowers. With a capacity of 1.5 cubic yards, the Tow Pro is ideal for treating parking lots and garages, college and institutional campuses, private roadways, and a multitude of other off-highway uses in Gretna.